Cisco has teamed up with Curtin University in Perth to launch a research centre focused on networking technology. Funded from Cisco’s $61 million digital acceleration investment, the Centre for Intent-Based Networking will see a team of researchers develop new applications for use by the vendor’s customers and partners. Applications will primarily focus on the internet of things (IoT) and bridging the gaps between operational and IT technology for industries such as manufacturing, mining and utilities. “With intent-based networking, we’re reinventing the network from the ground up, and we’re just beginning to scratch the surface of what’s possible,” said Scott Harrell, senior vice president and general manager, enterprise networking at Cisco. Intent-driven networking uses machine learning to automatically enforce security policies and maintain network state, and has been a topic floated by Cisco for some time. In June 2017, the networking giant released a series of hardware and software capabilities that it said used machine learning technology to provide advanced network automation. 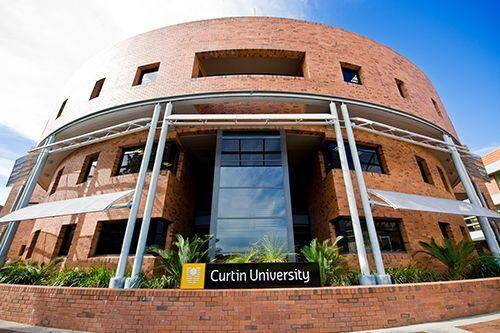 According to Cisco, Curtin University has already deployed an intent-based network across its entire campus providing researchers with access to a real-world environment. The centre will now focus on developing an intent-based network curriculum to train the workforce of the future, which can be accessed by Cisco customers and partners in the region. “This new agreement continues what is an already successful alliance based on a mutual vision and impeccable track record of industry engagement and innovation,” Curtin University vice-chancellor professor Deborah Terry said.